Some readers may be out celebrating tonight, so as a Halloween "surprise", I'm posting here (Download ShortStory_DeadAPorter_byAnnaBattista_Extract) an extract from my short story "D-A-P (Dead-à-Porter)". This short tale revolves around two main themes - Fashion and Death - and involves more than one encounter with unexpected deaths and with obnoxious fashion characters. Try and guess how it might end. Happy Halloween night! Vintage details from the past always pop up here and there in new collections, quite often making us realise that grand and magniloquent words such as "genius" should be erased from the personal vocabulary of many fashion cricitcs and journalists. So let's briefly look at a couple of past references in new designs. The first example shows a silk Schiaparelli jacket from 1948-50 characterised by embroidered petal/paisley shaped motifs in metallic thread and glass beads. The petal motif comes back in a sort of enlarged and modernised version in Christopher Kane's Spring/Summer 2014 collection. Echoes of Schiaparelli's evening designs incorporating two drawings by Cocteau inspired by the theme of the double, reappear instead in a couple of coats in Miu Miu's collection that feature two profiles facing each other. The same collection includes several coats in candy colours that could be defined as updated versions of Mod coats combined with classic André Courrèges' outerwear from the '60s. Miuccia Prada took inspiration from André Courrèges in previous collections, but among the references in her S/S 14 collection there is also a new entry, Pierre Cardin. Prada's collection features indeed a bi-coloured fur coat in an orangey yellow and red shade that looks like the remixed version of a Cardin design from the '60s. Can you spot further details inspired/borrowed or simply pilfered from the past in new collections? It can be discouraging staring at a pile of puzzle pieces, but if you analyse them a bit better one by one lying them flat on a table, you easily start getting an idea about what the final picture will look like. In the same way, if we look from the right angle at events happening around us, we may easily find anwers, connections or even clues about certain trends. Let's analyse for example the "Damien Hirst (Art) - Prada (Fashion) - Qatar (Money)" puzzle, moving from the art and fashion clues first. Roughly three weeks ago, Damien Hirst opened his first retrospective in Doha, Qatar. Entitled "Relics" (on until 30th January 2014 at the Alriwaq Doha), the exhibition traces tthe artist's career from his beginnings to his more recent projects, and is accompanied by a catalogue featuring an interview to the artist by Nicholas Serota, Director of Tate (the Qatar Museum Authority sponsored last year’s Damien Hirst retrospective at London's Tate Modern), and essays by the Qatari writer, visual artist and Gulf Futurism theorist Sophia Al Maria and the Pakistani writer Mohsin Hamid. Around the same time, Prada revealed its collaboration with Hirst: the Pharmacy Juice Bar (directly inspired by Hirst's eponymous restaurant that opened in 1998 in London and closed ten years ago), installed in a bedouin tent in the desert north of Doha, together with "Prada Oasis", a shop selling two different bags designed by Hirst/Prada and sold via silent auction a couple of weeks ago. The proceeds from their sale went to the charity Reach Out To Asia (ROTA), stewarded by Sheikha Al-Mayassa bint Hamad bin Khalifa Al-Thani, daughter of the former emir of Qatar and chairperson of the Qatar Museums Authority (QMA). Widely copied all over the Internet, the press release for Prada/Hirst's "Entomology Bags" states that the designs (produced in 20 samples) feature insects such as the "Campanotus giganteum" (they probably meant "Camponotus gigas"), the "Nephile pilipes" (should actually "Nephila pilipes"), the "Prosopocoilus occipitalis", the "Eupholus cuvieri", and the "Pachyrhyncus orbifer" (should actually be "Pachyrrhynchus orbifer") frozen in plexiglass, while the exterior of the bags features representations of the species trapped inside. The insects could be read as a reference to Hirst's best known works from his animals in formaldehyde to his "Entomology Paintings" like "Nessus" (2009) with thousands of bugs arranged in kaleidoscopic patterns. The handbags also display some connections with the insect theme as tackled by Elsa Schiaparelli in her "Pagan Collection" (1938; a collection Prada already pilfered in the Winter 1999 with coats and skirts covered in leaf motifs and decorated here and there with crystal insects). As many of you may remember, in Schiaparelli's case we had insects appliqued on the collar of a jacket, used as the buttons of a skirt suit, to decorate a belt/hat or a clear plastic necklace (see this post to get an idea). But this is a different story, so let's pass onto the third clue: money. According to ArtReview, Her Excellency Sheikha Al-Mayassa bint Hamad bin Khalifa Al-Thani, chair of Qatar Museums Authority, is the most powerful person in art. Her family is indeed estimated to spend $1 billion per year on art. Al-Thani bought last year a version of Cézanne’s "The Card Players" (c. 1895) for $250 million, splashing also almost £10m on a Damien Hirst medicine cabinet (thanks to her efforts Doha recently hosted exhibitions by contemporary art stars like Prada's darling Francesco Vezzoli). While Al-Thani should be praised for trying to transform Qatar into a hub of art and culture, her efforts haven't had any real impact on democracy in the country but quite often call to mind the art collector frenzy displayed by other wealthy characters à la Dasha Zhukova and inspired by the principle, "If that museum can have a (add name of painfully hip artist), I can have that as well!" The ArtReview list and the Hirst-Prada connection with Qatar (erroneusly taken by some commentators as a genuine fashion and art collaboration...) actually display a simple truism: it is not talent that rules the art world at the moment, but money, in the same way money rules the fashion industry. The most worrying thing about this truism, though, is the fact that money is also redefining the rules for a new generation of people and a new cultural landscape: Hirst can't be blamed for the capitalist society we live in, but, together with many other modern trendy and hip artists, he is in many ways responsible for encouraging young people to think that you don't need to spend hours studying or painfully nurturing your talents to produce art. You can indeed make money pickling a lamb, covering a skull in diamonds, making visually pleasing compositions with insects or turning an anatomical toy model that belonged to your son into a 20ft bronze sculpture. The same principle applies to fashion: why sitting down and work hard researching new silhouettes and textiles, when you can make money reproducing a vintage piece? Money is even more important than small details. There were 3 spelling mistakes in the names of the insects inspiring the Prada/Hirst bags on the press release. Yes, you could blame it on the PR head officer, but, surely, somebody may have rechecked the names before sending the release around just to prove they weren't casually referencing entomology, but knew what they were doing. So the boundaries between what is art/fashion and what is a con are suddenly blurred in the name of money, that becomes a vital piece of the puzzle rather than a mere link between the two disciplines. Suddenly nothing is casual anymore, but everything fits in: Hirst, the rich artist who has taken in his career some dubious creative decisions; Miuccia Prada, one of the most powerful women in Italy, who has again taken some creatively dubious decisions fashion-wise (dubbed with the trendy definition "ugly chic" by the media) and Al-Thani, representing financial power. There is a last piece in this art, fashion and money puzzle: as early as 2011, the Fondazione Prada announced it was going to collaborate with the QMA and launch a curatorial award. The competition eventually materialised only this year. The "Curate Award" asks participants to submit within December in a video format ideas for a curatorial research and project. The winner will be chosen by a panel including Al-Thani, Miuccia Prada and Rem Koolhaas (apart from the obvious Prada connection, OMA studio was chosen in March to build Airport City, the development linking Doha with the new Hamad International Airport). Bets are open about what the curatorial project will be about (expect something along the futurism/architecture/arty lines) and who will be the winner. But if you have been very careful while reading this post you may have already spotted the name (or you can re-read the third paragraph in this post and guess - clue: no, it's not Hirst). Well-done, the very final piece to your art, fashion and money puzzle has finally been added. Puzzle completed. Eleven years ago I enrolled in a journalism post-graduate degree at Glasgow's Strathclyde University. During those nine months, I discovered more faults than benefits in my course. Aside from that, I also developed terribly murderous instincts that materialised in my mind the message "Eliminate!" every time I saw a lecturer who had not a sentimental attachment, but an unhealthy obsession with Oxdown, the useless imaginary town made up by the National Council for the Training of Journalists to torture trainee journalists. I miraculously didn't kill anybody, eventually got an MLitt in Journalism, secretly celebrated the fact that Oxdown was eventually eliminated by the NCTJ in 2006 (proving I was more or less right...) and went on with my life. Yet while I got on with life, journalism mutated into something else: layout programmes for printed magazines that we were taught at the course became obsolete; audio and video recording devices radically changed and the Internet became a massively huge platform with a stronger presence in our lives. It became easier to write and publish your thoughts and reach out to a wider audience, but it also became more difficult to find a publication that wasn't suffering from staff layoff and budget cuts. The rise of the blog (not just in fashion, but in different disciplines, including culture, science and technology) proved that ordinary people with no formal qualification in journalism could produce well-researched and coherent articles and publish them online for free. Even though it became pretty obvious that a large part of the world population misunderstood "writing" for "posting random thoughts on Facebook/Twitter", as the offer of free features and articles increased, many publications went through a major crisis. To improve their readership quite a few newspapers started asking readers to actively contribute to their sites by sending their own photos in (themes range from chronicling your pets' life to your illness or documenting a catastrophe happening near you...). But now the trend has changed again, switching towards celebrity journalism. These two words do not refer to writing about celebs, but in enlisting somebody famous to collaborate/write for your magazine/newspaper, hoping to attract in this way more readers. Despite the job crisis out there, in 2013 Pippa Middleton, the younger sister of Kate, Duchess of Cambridge, has been enlisted as a food columnist for Waitrose Kitchen magazine, a contributing editor to Vanity Fair, a columnist for The Spectator and "Sport and Social" columnist at The Telegraph. Vogue UK instead recently announced that Kate Moss joined the magazine as contributing fashion editor and that her first shoot will be published in Spring 2014. While it is undeniable that celebrity journalism has always existed and that there are regular columns supposedly written by famous contributors scattered on different magazines and sites, these two cases are pretty interesting. Until the beginning of this year Pippa was better known for having a spotlight stealing bottom rather than a beautiful journalistic mind matched with an amazing writing talent, and yet she got more writing gigs in nine months than many qualified journalists may get in three years. Her latest forays into journalism for the "Sport and Social" column at The Telegraph sound a bit like those series of children's books with the same character as main protagonist of stories that have a didactive purpose and teach basic things about the world while entertaining your little ones. A mix of sport, fun hobbies and party planning, her stories are emotionally flat and portray a world in which titivating a canapé tray is a key skill and the potentially deadly anxiety of contracting a terminal disease, experiencing bereavement, losing your job, your house and other assorted tragedies that happen to ordinary people, simply do not exist. In a nutshell, they could be summarised as "Pippa goes to the flower market", "Pippa goes boxing", "Pippa organises her Spanish-themed birthday party", "Pippa joins the Cirque du Soleil". It's a bit like a socialite version of Peppa Pig, the only difference being a vocal and a slightly longer name in the case of the cartoon character. And while we didn't expect from her anything in Fear and Loathing in Las Vegas style, not many of us ever imagined that it was possible to sell to The Spectator a piece entirely based on your fondest memories of sport school days, otherwise we wouldn't have collectively and permanently erased from our brains the entire content of that mind drawer filed as "Useless sport and school memories". Then there is Kate Moss. Definitely not your average model, Moss is loved by many fashion designers, editors and photographers, she has style and she is well-connected. Yet one thing is appearing on the cover of a fashion magazine, another is actually working to make the cover happen; one thing is standing in front of a camera, another is standing behind it, respecting deadlines and being part of a team. Moss guest-edited the December 2005-January 2006 edition of Vogue Paris, but she hasn't consistently edited anything else in the last few years. In Kate Moss' defence you may argue that also Grace Coddington was a model before starting a career at British Vogue as Junior Editor and then as Photo Editor, and eventually joining American Vogue as Creative Director. Yet Coddington has had a longer career in fashion journalism than in modelling, while for Moss it's the other way round. Besides, Moss may be too attached to other gigs to be an objective fashion editor (think about her collaboration with Topshop and her friendship with certain fashion designers such as Hedi Slimane at Saint Laurent). There were journalists who saw Pippa being enlisted by Vanity Fair as a positive sign: some stated that, if you must know your main subject to write well about it and if Pippa is a socialite, she can write pretty easily about society engagements; others highlighted that she could be used as the proverbial battering ram, meaning that if a magazine hires her and its sales increase, the publication will have more money to offer jobs to more journalists (non celebs!). Unfortunately it doesn't work like this. First or all, not all socialites can write well about their lives and, though in an article published a few months ago on The New York Times William Sitwell, editorial director of John Brown Media, publisher of Waitrose magazine, stated that sales soared since Pippa started writing for them (stating: “She is a good cook and writer and works very hard,” and adding that she goes into the office once every month or two when they “bash out a few issues” - once every month? Wow, what a commitment...), Pippa's disastrous sales for her party planning book published by Penguin (for which the publishing house paid a reported £400,000 advance...dear oh dear) may prove we are not witnessing Virginia Woolf's second coming. Second, it is highly unlikely that a celebrity in your staff will automatically generate more paid jobs. We must indeed consider that for each celebrity journalist who is paid a lot of money, there are at least three who are badly paid. Besides, if you hire somebody justifying your choice solely on name recognition grounds (and this can also be applied to stories about celebrities being offered jobs to design capsule collections of garments and accessories or securing lucrative contracts for exclusive "collaborations" with certain brands...) in the long run only those ones already leading a privileged existenced will be able to get certain jobs. The other point is that this trend for picking famous people with virtually no experience to design a fashion collection or write for a magazine, raises a few key questions: why do ordinary people have to go through university courses, sit through exams and build a portfolio to do these jobs? What makes Pippa more qualified than your average penniless journalism graduate looking for a job? Yet the most worrrying thing about the celebrity journalism plague is actually the fact that it may be spreading at other levels. In the last few months auctioning internships has become a favourite sport for many companies, with some sites such as Charitybuzz.com auctioning off not just tickets to art and sporting events, but also internships and apprenticeships (yes, the bidding money goes to a charity partner, but you're still paying to do an internship, which is immoral). In the meantime, Condé Nast recently announced it will be cutting its internship program starting in 2014. Quite a few publishing companies (Condé Nast included) and fashion houses went through a series of problems in the last two years after unpaid internships in the various industries were brought to light. As a reaction Condé Nast first enforced new regulations about working hours and wages, then last week it announced it was stopping its internship program. The choice of eliminating internships points at something else - eliminating the chance of getting more experience. Which leads to other questions: is journalism going to mutate again and will the future of writing at certain levels be left in the hands of the rich, the well-connected and the privileged? In the case of fashion journalism, it's only natural to wonder if we will get rid of proper critics in favour of an elite, an exclusive club made of young and hip models, fashion designers and beautiful style icons. It may be a bit too early to start mourning your journalistic dreams as only time will tell (and, who knows, celeb journalism may instantly become untrendy like yesterday's pink coats...). But you can bet there is one thing all these celebs hired for the most disparate and absurd jobs - from writing about bungee jumping from a bombed bridge in a war zone to designing a trash fashion collection and thinking they have developed the tailoring skills of Giorgio Armani in 10 minutes - and that's managing to survive on a low income and resisting the urge to commit suicide on a daily basis. Looks like, after all, there are still skills that vapid celebs, socialites and the rich in general will never manage to learn from simple, unassuming and overqualified (yet quite often jobless) people. Some readers may have already started their Christmas present shopping routines or they may just be looking for a new diary for next year. Francophile readers who enjoyed the manual Parisian Chic: A Style Guide by model Inès de la Fressange and fashion journalist Sophie Gachet, may find the 2014 Weekly Planner (Flammarion) they derived from the book a good option. The packaging, with its red faux leather cover with gold details, ribbon page marker and an elastic band closure, is aesthetically pleasing and attractive and the little sketches illustrating every week are humorous. Authors de la Fressange and Gachet share for each week fashion, style or interior design suggestions and general advice. The tips range from silly ("Invest in a pair of espadrilles from the market and wear around then house in January for that 'on vacation' feeling") to funny ("Buy (any) kind of second-hand watch and telle everyone 'It's a collector's piece'") or just sensible ("If you have to take just one pair of shoes on holiday, make it...a little pair of flat, gold, strappy sandals. Perfect for night and day"). The format actually makes more justice to de la Fressange and Gachet's notes than the Style Guide that actually spawned this publication: while in a book format their suggestions sounded at times rather superficial, even silly thoughts sound humorous and funny in a weekly planner. Definitely a useful and affordable gift idea for any Inès de la Fressange's fans and for fashionistas in general. Catalan photographer Joan Fontcuberta received in March this year the 2013 Hasselblad Foundation International Award in Photography. An exhibition celebrating Fontcuberta's work and featuring iconic images from his most famous series, opened yesterday in the Hasselblad Center at the Göteborg Museum of Art, Sweden. In March the Hasselblad Foundation’s panel stated about the decision to award the prize to Joan Fontcuberta: "Joan Fontcuberta is one of the most inventive contemporary photographers, with an over 30-year achievement of constantly investigating and questioning the photographic medium. His work is distinguished by original and playful conceptual approaches that particularly explore photographic conventions, means of representation and claims to truth. He challenges concepts of science and fiction in interdisciplinary projects that extend far beyond the gallery space. In addition to his photographic practice, Joan Fontcuberta’s capacities as a writer, teacher and curator have been greatly inspirational to the younger generation." Born in Barcelona in 1955, Joan Fontcuberta considers himself as a self-taught photographer influenced by the Situationists and the Dadaists. He first started working in advertising, co-founded the Spanish/English visual arts journal PhotoVision in 1980 and held numerous teaching appointments as professor of photography and audiovisual communication both in his home country and abroad as a visiting lecturer. Fontcuberta usually approaches his subjects from a conceptual perspective that allows him to blur the edges between fact and fiction. In his images nothing is what it seems and the viewers end up believing in a constructed world that does not exist. In his series "Herbarium" (1984) Fontcuberta classified numerous exotic plants that he actually recreated using everyday objects such as electrical cords and rubber hoses; "Fauna" (1987) is instead a fictional yet encyclopedic catalogue of the long-lost archives of German zoologist Dr. Peter Ameisenhaufen, and features bizarre creatures such as the Solenoglypha polipodida, a sort of snake with 12 feet. In Fontcuberta's world, photography is a way to look at things from a different point of view and with a healthy dose of satire and humour: the stardust in his "Constellations" series (1993) is actually formed by the insects and debris on Fontcuberta's car windshield; in "Sputnik" (1997) the photographer chronicled the story of fictional Russian cosmonaut Ivan Istochnikov and his dog Kloka, both vanished after getting out of the Soyuz 2 spacecraft for a routine space walk, mysteriously yet hilariously leaving behind only a vodka bottle containing a note. In quite a few cases the media actually believed Fontcuberta's elaborate fictitious stories and in-jokes ("Ivan Istochnikov" is the Russian translation of Joan Fontcuberta and both the two surnames mean "hidden fountain"): when "Sputnik" was showcased as a proper exhibition that also included artifacts relating to Istochnikov's space mission, the Russian authorities stated the photographer had offended the glorious Russian past. Even in our rather confusing times in which digital photography allows us to fabricate fake visual fantasies and immediately spread them all over the world through social media, Fontcuberta's hoaxes remain highly intriguing because they are actually the result of in-depth researches. The photographer seems to have a genuine talent for confounding fact and fiction that reminds of Jorge Luis Borges's writings in which the author combined actual data with a wildly fictitious world. Fontcuberta continued his inventive explorations of photography with "Hemograms" (1998), in which he employed blood samples on pieces of transparent film as a negative; "Sirens" (2000), an installation of fake fossils of mermaids in the Réserve Géologique de Haute-Provence in Digne-les-Bains in southern France, that he proceeded to photograph; "Orogenesis" (2002), a series of digital landscapes made using Terragen, a computer program that turns maps into images of three-dimensional terrain, but that he employed to turn famous artworks and parts of the human body into fantastic landscapes; and "Deconstructing Osama" (2007) in which he reinvented the leader of Al Qaeda's military wing as an Arab television soap opera actor and singer. The exhibition at the Hasselblad Center - accompanied by a collection of six of Fontcuberta’s most iconic series in book format published by MACK and The Hasselblad Foundation - is a journey through various cross-referenced pseudo-disciplines (including fictional botany, zoology, and cosmonautics) but it's above all an invitation to ponder about the dichotomies ruling in our lives: genuine and revealing truth Vs seductive and disruptive lies; real Vs imagined; documentary approach Vs intellectual construction, and our tendency to always manage to describe and discuss nonexistents facts in just the same way as existent truths (check out this hilarious video about fake fashion designers and people lying about seeing their catwalk shows or discussing their collections as if they had seen them...). Using photography as a tool to prompt us to visually think, Fontcuberta insinuates doubts in our minds that destabilise our certainties, raise questions and contradictions, and ultimately leave us smiling at his sharp wit. London-based Swedish designer Simon Ekrelius has always had a secret passion for subtle architectural influences in his work. In previous collections he was inspired by buildings such as the Philips Pavilion designed for the 1958 Brussels World Fair by Le Corbusier’s office, but in his Spring/Summer 2014 he decided to combine architecture with modern art and classic cinema. Entitled "The Other Half", Ekrelius' new collection moves construction-wise from the Art Deco lines of Fritz Lang’s Metropolis poster (View this photo), while the panelled elements and stark white palette are borrowed from Robert Rauschenberg's "White Paintings" (View this photo). Rauschenberg's modular works were characterised by a bright neutral shade that hinted at the divine, celebrating the freedom of absence as well. Ekrelius marks with this collection a print-free moment in his career, in favour of a return to tailoring, linear forms and asymmetry. Different textures including paper-light cotton, silk organza, vinyl, poly blends and canvas are employed to create contrasts in dresses, blazers, jackets, pencil skirts, ballooned shorts and hand-pleated pieces. Can you introduce us to the arty and cinematic inspirations behind 'The Other Half'? 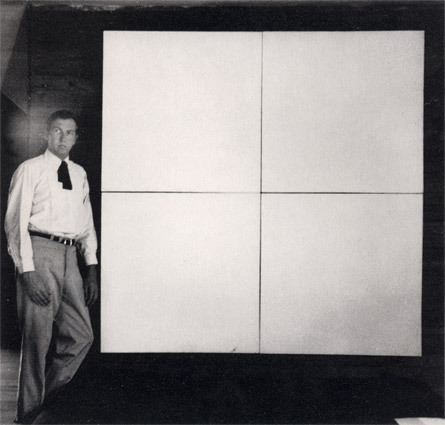 Simon Ekrelius: I followed the "Dancing Around Duchamp" season at the Barbican, with its focus on masters of modern art such as John Cage, Merce Cunningham, Marcel Duchamp and Robert Rauschenberg and fell in love with Rauschenberg's "White Paintings". They looked so simple and it suddenly all made sense. I find it important to follow the news and what's happening politically around us, and it has been a very difficult couple of years - think about the events in Syria, and so many other countries where there are political or religious tensions. Pondering about all these events I felt that, while everyone has a right to believe into something, religion shouldn't be used to oppress people or rule a country. When I saw these white paintings I felt it was about time to do a collection all white and transparent to hint at peace. 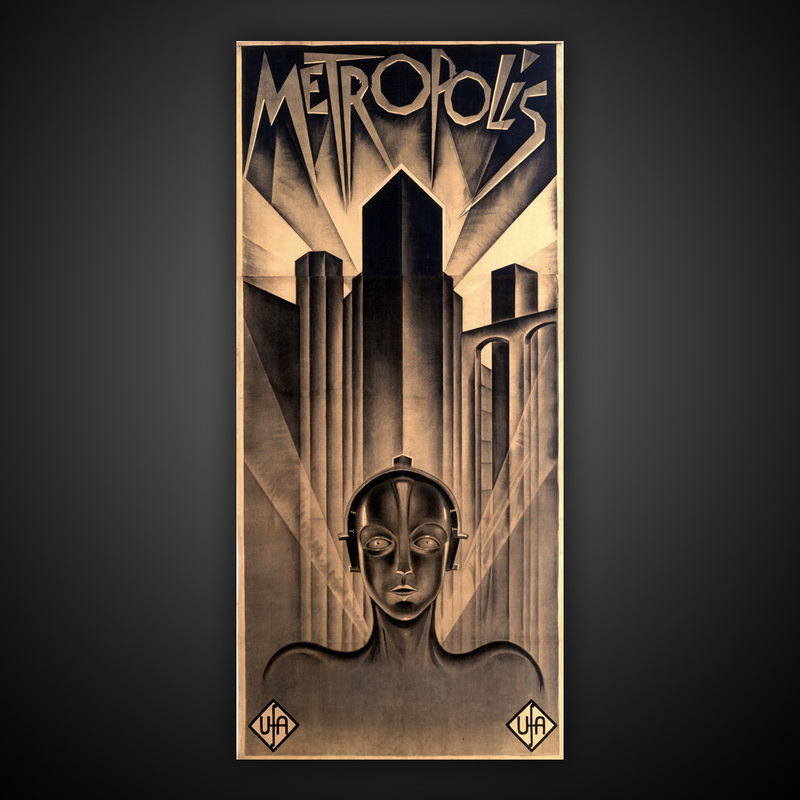 The second inspiration came from the fact that I've always loved antique posters, especially hand drawn ones, and the lines and the mood in the Metropolis poster were a perfect addition to my moodboard, they looked dramatic and that is what I feel with my collection too - light and linear yet dramatic. I replaced the dark with different shades of white, using different textures to create a sort of shadow effect. In some cases you employed plastic-like materials in your designs, was that a reference to futurism and to Metropolis in particular? Simon Ekrelius: Yes, it was! I also employed them since I like the reflected effect they produce: it can be very hard to see through such materials under certain conditions and these materials can also highlight the fabric and colours underneath in a super attractive way. I've always used vinyl, even when I graduated over 10 years ago I used vinyl to create interesting contrasts with the skin underneath. Did you find any stages of making this new collection difficult or challenging? Simon Ekrelius: In a way every season is a challenge! I love drama and creating a collection it's a battle of love. Anything simple is boring, some of my new pieces may look simple but there is a lot of drama and love involved. It was a challenge to create the open pleats in silk and to figure out the texture; keeping the prices realistically affordable for the buyers; finding the right seamstresses, patternmakers and graders; constructing the shoot and doing the model casting after spotting the right location. All the collection is made in the UK: is it important to let the consumers know where everything is made? Simon Ekrelius: Absolutely! I tested India and China many times to check their quality and I can tell you they don't equal my British factory. Their French seams are a nightmare to look at. I like mine nice and tidy and straight above all! My work focuses on the designs and not on fast fashon, so it has to be perfect. I might look around in Europe for help when I get big orders, but it's unlikely I will go to Asia for manufacturing a collection since also their shipping procedures do not go well with my modus operandi. There is a bigger focus on your tailoring in this collection, do you feel that wearers are more interested in tailored pieces that last rather than in fashionable and eye-catching prints? Simon Ekrelius: I like prints who are well made and who have a story behind them, but we have seen too many prints lately and quite often they don't have that "wow factor" anymore. While this collection had to be print-free because of its main inspiration, I also feel buyers trust my tailoring, a skill I developed during my education. I will obviously reintroduce prints in my work, but I'd like to employ them in different ways, not as the main focus for a fashion collection. At the moment for example I'm collaborating with Keka in the USA, designing prints and using motifs from my archive for mobile phones, iPads and Kindle devices. They look perfect for modern accessories and I find it very exciting to see them in another context. Where are you selling this collection? Simon Ekrelius: I'm selling at Tjallamalla in Stockholm, and I might start selling at a new online shop called 'The Fashion Blueprint' here in London, and at the Alter store in Shanghai. There are plans for other places, and you can keep updated by following the news on my Facebook or Twitter pages. Simon Ekrelius: I'm designing the Autumn/Winter 2014-15 collection; I got two amazing assistants this season who are just adorable, and I may develop some new prints as well. All will be revealed in February 2014, so stay tuned! Shoot of Simon Ekrelius, Spring/Summer 2014 collection "The Other Half"
A model is standing among bright pink tulips, her arms above her head, her yellow pleated skirt thrown in the air obscuring her face, turning her figure into a giant yellow cockscomb; a pair of legs stick through holes in a wall; an intriguing alien-like figure clad in a black bodysuit strikes a graphically geometric pose on a white background. There is a strange kind of oneiric or hypnagogic surrealism in the images of Dutch photographer Viviane Sassen currently part of the "In and Out of Fashion" retrospective dedicated to her in the Robert Mapplethorpe Gallery at the Scottish National Portrait Gallery, Edinburgh. Including works from 1995 to 2012, photographic prints, displays with notes, sketches, ideas and magazines, and a specially designed installation, the event is currently the first and only Sassen retrospective in the UK. Though each image is different from the next one, there is something they all share - a new approach to shape, form and figure and an innovative point of view. As Sassen often stated in interviews, this point of view comes from her childhood. Born in 1972 in Amsterdam, Sassen spent three years of her childhood in Africa, where her father was working. She was 5 when the family returned to Amsterdam and it took her a while to adjust to her new life. When she grew up she studied fashion design at the Royal Academy in Arnhem and then moved onto photography and fine art at the Hogeschool voor Kunsten Utrecht and at Ateliers Arnhem respectively. Inspired by artists such as Man Ray, Nancy "Nan" Goldin, Larry Clark, Araki, Richard Billingham, Paul Graham, Wolfgang Tillmans, Helmut Newton, Guy Bourdin and Juergen Teller, Sassen developed a style suspended between art, fashion and documentary and informed by her African memories and dreams. While she started doing campaigns for prominent fashion houses and labels including Carven, Stella McCartney, Miu Miu and M-Missoni, and shoots for Purple, i-D, Dazed & Confused and Pop, from 2002 Sassen regularly went back to Africa where she explored through numerous images the tensions between feeling at home there and being a foreigner and therefore not being able to fully capture the spirit of the people she met and the places she saw, an issue she tackled through pictures in which the faces of here subjects were usually obscured. Sassen quite often employs the same technique in her fashion images as well to avoid revealing her subjects and therefore objectifying them. By hiding the identity of her models, she turns them into ghostly memories, human silhouettes characterised by mystery, erasing in this way also her own presence. The garments and accessories become therefore prop-like elements while the body is therefore abstracted, reduced to an inventive sculptural shape and form. The final result is quite sophisticated yet avant-garde, suspended between art and fashion, with photographs that look unusual and different from the ones you may find in glossy magazines like Vogue. Maybe Sassen's approach to fashion comes from a reaction to the boredom and superficiality caused by the fashion industry and by the will to find inventive ways to present a shoot or a product. Challenging the viewers' preconceptions and perceptions is after all Sassen's main aim: everyday we are bombarded with a constant flow of images, and we tend to forget most of them. Sassen uses her photography as a brain training session, showing us something, then asking us to stop, ponder and try and understand what our eye and mind actually saw. In and Out of Fashion features the series "Nudes: A Journey", which includes early work focusing on the female body made with Emmeline de Mooij; "Roxane", including 36 portraits of French stylist Roxane Danset, and Sassen’s recent work for a selection of publications and brands. The section "Foreplay" is particularly interesting for Sassen's fans since it documents the moments before a fashion shoot begins, offering a fascinating insight into her images and into her way of including the people working behind the scenes in the actual photographs. Fashion photography implies a large team and less introspection than documentary photography, but Sassen favours smaller crews and a dynamic, spontaneous and intuitively visionary approach also to fashion photography that quite often means taking pictures while the models are still being prepared. While this show focuses on her fashion portfolio, Sassen's fans can discover images selected from her "Parasomnia" series (that won her the Prix de Rome in 2007) at the 55th International Venice Art Biennale. The title is borrowed from a category of sleep disorders occurring in the liminal state between walking and sleep and comes from the fact that all the images in this series seem to be detached from the locations they were taken, turning into visions that may have been conjured up in the oneiric state. "Viviane Sassen: In and Out of Fashion" is at the Scottish National Portrait Gallery until 2 February 2014. A recently published book also titled "In and Out of Fashion" (Prestel) accompanies the exhibition. Viviane Sassen's works are on display at the Central Pavilion at the 55th International Venice Art Biennale until 24th November 2013. Inhale 2011, C-print 40x32 cm, courtesy of the artist and Stevenson, Cape Town and Johannesburg, 55th International Venice Art Biennale. It is easy to be suddenly taken by a heavy sense of uneasiness while looking at Erwin Olaf's images. His carefully arranged sets and settings populated by disturbingly mysterious characters conjure up indeed a sense of oppression, fear and anxiety. His latest series, "Berlin", is part of an exhibition currently on at the Rabouan Moussion Gallery in Paris. Born in 1959 in Hilversum, The Netherlands, Olaf studied journalism at the School of Journalism in Utrecht where he discovered photography, realising he wasn't interested in documenting the reality surrounding him, but in portraying his own world. The recipient of many awards, throughout the years Olaf developed advertising campaigns and controversially provoking shoots that tackled themes such as fear, grief, loss, loneliness and melancholy. The twenty pictures - seven scenes, thirteen portraits and two self-portraits - included in the exhibition at the Rabouan Moussion Gallery move from a historical moment, the fall of the Berlin Wall in 1989. Though this year symbolically represented a global moment of freedom and euphoria, the reunification was actually more painful and slower than imagined. Berlin, the creative capital of Europe with its booming party scene in the '90s, turns in Olaf's images into a city of contrasts, of tensions, lights and shadows, past and present, decadence and glamour. The rhythm of the images is operatic with the main protagonists assuming different masks and roles, revealing themselves as allegories of decay, decadence and tragedy. A young girl in a flounced skirt sits on an armchair and provokingly looks at the camera; a clown stands on a diving board with a sealed envelope; a black athlete with his chest covered in medals looks as if he were annoying an insufferable child in a double-breasted suits and leather gloves, maybe a scene that references Jesse Owens, the athlete who won four gold medals at the 1936 Berlin Olympic Games to Hitler’s annoyance. In some cases Olaf's characters look as if they have just escaped from a canvas, in others they may have been borrowed from a carefully assembled film set in which everything - clothes, hairstyles, decoration and furniture - is beautiful, but nothing is harmonious, and the light sculpts their faces in a maniacally precise way that isolates the characters in their loneliness. Olaf also appears in two self-portraits turning into the protagonist of his own Berlin wanderings. The pictures are surreal, but while the chiaroscuro effects are borrowed from Caravaggio, the moods may have been derived from Luchino Visconti's The Damned. While looking at these images you easily get an uncomfortable feeling of uncertainty, as if you were watching people dancing on the edge of a precipice, symbolically represented in the images by the many stairs the photographer encountered in Berlin. The images - the result of a project Olaf developed with the prize money of the Johannes Vermeer Award - were shot in seven locations, including the Rathaus (where John F. Kennedy stated: "Ich bin ein Berliner"); in the fencing hall at the Olympic Stadium and the Masonic lodge. For the Berlin project, Olaf experimented with carbon pressure induction printing, a technique that, allowing him to combine digital and old-fashioned technologies, also prompts the viewers to contemplate these images from the point of view of their own lives. Berlin by Erwin Olaf is at the Galerie Rabouan Moussion, 121 rue Vieille du Temple, 75003 Paris, until 23rd November 2013. Moving country especially after you may have established yourself in one place is a difficult choice, but Tine De Ruysser and James Lethbridge are not afraid of challenges. The London-based jewellery designer who developed interesting projects based on folding metallic materials, pioneering an electroforming technique and creating wearable origami pieces, and the glass artist who creates imaginative lighting and sculptures characterised by a combination of natural and futuristic forms, decided to move to Belgium and open a new studio in Borgerhout, a district in the city of Antwerp. Given De Ruysser and Lethbridge' interests, you can bet that their new studio will become a multi-disciplinary design practice where the artists will develop their work and collections, while researching innovative materials and coming up with unique creations and bespoke designs for new clients. Can each of you briefly introduce yourself and your work to our readers? Tine De Ruysser: I studied Jewellery to PhD level. I'm Belgian, but lived in London for a total of 10 years, first to study at the Royal College of Art, and then to stay close to James. (We met at the RCA, through a common friend.) I taught jewellery and folding to a variety of students at different levels, including adult education and Academic BA and MA courses in jewellery design. My PhD work revolved around the development of a new material. I have since expanded the collection in which I use intricate folding patterns in combination with lamination techniques to create very flexible metal-textile and wood-textile decorative objects. I also make wearable collections of jewellery from folded banknotes, in which I question the perceived value of gold and money, and the role they take in society. James Lethbridge: I initially studied ceramics at Leeds University in Yorkshire, however I soon turned to glass making in 2003, at the now closed International Glass Centre in Birmingham. In 2005 I started at the Royal College of Art, completing an MA in Glass and Ceramics in 2007, where during the final show I met Tine. My work is based around the visual study of organic/natural materials, which are translated into stunning works of transparent, surrealist glass, using traditional techniques of glassblowing and flame working, in an innovative way. The sources of inspiration could be twisting vines, pollen, viruses or air movement. As James Lethbridge Glass I make one-off bespoke chandeliers and sculptures for private clients and galleries, sell internationally and take part in trade shows and exhibitions at Design Miami, ICFF, British Glass Biennale and the Coburg Museum of Modern Glass. Do you consider yourself more as artists or designers? Tine De Ruysser: I consider myself as a combination of artist and designer. My banknote collection has a conceptual message, which in my opinion makes it art. The folding work I developed through my PhD has no concept behind it so far, so it is more like design. Still, the pieces are unique, and made by hand by myself. James Lethbridge: I take a more design-led approach to my work, simply wishing to convey the inner beauty of the material and a fascination with the natural world. It is this interest in the natural world, which lends power to the making. Clients who commission my work are often struck by the sheer energy of work and by its complexity. Why did you decide to move to Belgium and open your studio there? Tine De Ruysser: We decided to move because I found work as a jewellery tutor at the MAD Faculty in Hasselt. I was also teaching in Lincoln (UK) and commuting to both from London for a year. Unfortunately, this left little time for me to develop my own work. In the end it made more sense to move closer to one job, and stop the other. The choice fell on Belgium because of my roots, a better chance for further research work, and the vibrant design community here. James Lethbridge: While it is a challenge for me to do this in a foreign country, I'm moving my business and will work full-time on developing my glass chandeliers and finding new markets. What kind of studio will you have there, will it be your private space or can clients come to you there and order pieces/buy things? Tine De Ruysser and James Lethbridge:The studio will mainly be a private place for making new work. It will be possible for clients to book a visit and discuss new orders, and we will organise Open Studio days to allow a wider audience to visit. James is planning to organise short courses in lampworking too. Belgium has a very vibrant art and design scene: what do you expect from this new venture? Tine De Ruysser and James Lethbridge: There is a lot of energy in the design scene in Belgium, with a good work-life balance and a dynamic attitude. We believe this will free up creative energy for our businesses. We want to establish ourselves in the Belgian design scene and improve our profiles in Europe, so we will reconfirm and strengthen our existing connections in Belgium and beyond, and make new ones. Of course we will stay connected with London, which has a different set of opportunities, and with our friends and colleagues there! Tine De Ruysser and James Lethbridge's studio is in Applestraat 27, 2140 Borgerhout, Belgium, and is open by appointment.